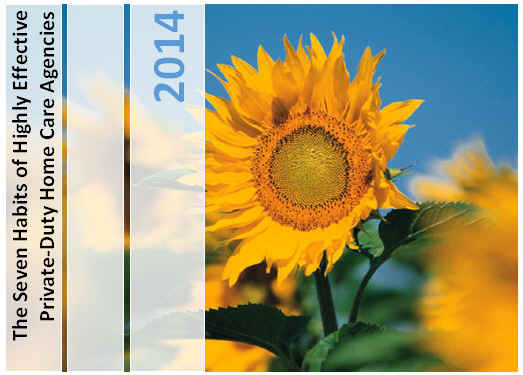 Will the Top 6 Components of a Home Health Visit Change in 10 Years? 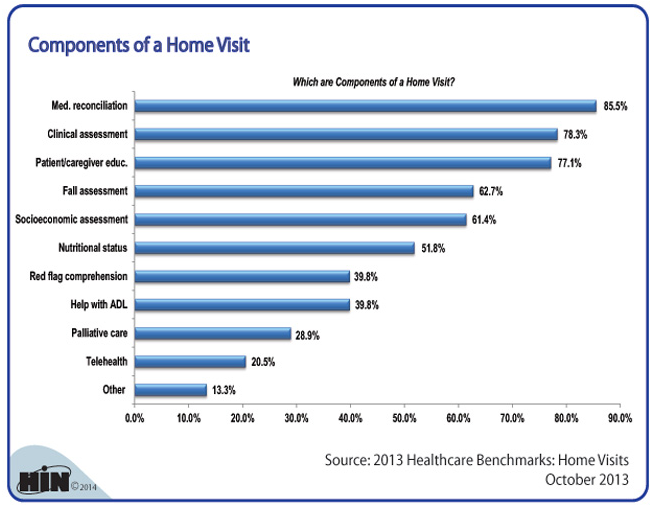 I found an interesting graphic on the website for the Healthcare Intelligence Network (www.hin.com) that itemizes the top components that occur in a home health visit. What will this mix of Components Look like in 10 years? Readmission Prevention Visit: This would be a visit that focuses on the items that can avoid a readmission, including teaching the patient how maintain a Personal Health Record (PHR) and how to advocate for themselves when they see their doctors, checking on red flags associated with the patient's condition, monitoring med adherence, and making sure there's a follow-up appointment with primary care and that the patient attends. Ankota has software to manage this (including referrals and care coordination with the hospital) that you can learn more about here. Chronic Disease Hospitalization Prevention Visit: 5% of the population account for 45% of all healthcare costs, so in a model where providers and payers have a fixed dollar amount per patient, more attention will be paid to saving costs be avoiding hospitalizations for this population. We believe that Accountable Care Organizations (ACOs) will want to partner with Home Health to provide ongoing services for these individuals to avoid hospital admissions. Proactive Admission Avoidance: We're starting to work with a doctor in Boston who has a system to analyze home health aide logs to predict hospital admissions and to proactively send a nurse to try and avoid a visit to the emergency room (where the cost of the nursing room visit is a fraction of the emergency room charge. Also, patient's who are part of the aforementioned 5% often become part of the 5% when an "event" happens like a heart-attack or a fall. New technology in an arena that we'll blog more about called "big data" can analyze populations and predict the patients who are most likely to join those ranks next, and put them on a protocol to avoid hospitalizations, save costs and improve patient quality of life. Note that these factors comprise a key health care initiative called the Triple Aim. At Ankota, we strongly believe that Home Health Agencies can be the critical factor that saves hundreds of billions of dollars per year in health care costs while providing better population health and higher patient satisfaction. To help with this, we've created software for HIPAA compliant care coordination, care transitions and ongoing care. Click on one of the images below to learns more.